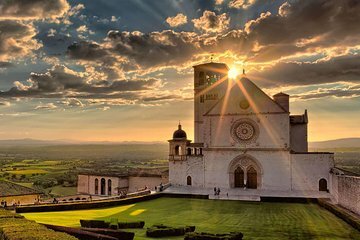 Known for its religious tours and as the birthplace of St. Francis and St. Clare, Assisi is a scenic hill town in the central Umbria region. Three churches are the three main attractions in the town. If you like, a local guide can be arranged to tour the churches with you and share more history about the town. Lunch at a local restaurant is included.